Washington(ANN)-US Secretary of State Rex Tillerson has said that the United States is using “large sticks” instead of carrots to convince North Korea to give up nuclear weapons. “We’re not using a carrot to convince them to talk. We’re using large sticks. And that is what they need to understand,” Tillerson said in an interview with CBS News which will be broadcast on Sunday. 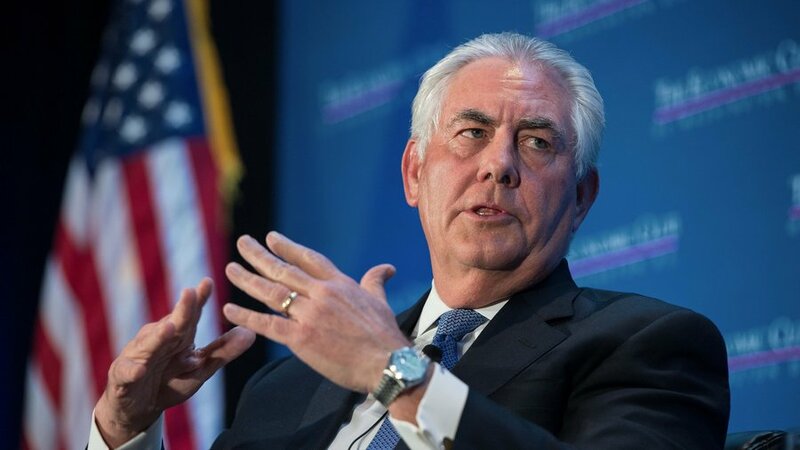 Tillerson added that the pressure from the US-led economic sanctions is “having its bite on North Korea,” and it will bring the country to the table for multilateral negotiations. Tensions are running high between Washington and Pyongyang over North Korea’s missile and nuclear programs. The Donald Trump administration claims it prefers a diplomatic solution to the crisis, but it also says that all options are on the table, including military ones. Washington insists that any future talks should be aimed at North Korea giving up its nuclear weapons, something Pyongyang rejects. North Korea has been under a raft of harsh UN sanctions since 2006 over its nuclear tests as well as multiple rocket and missile launches. Pyongyang has firmly defended its military program as a deterrent against the hostile policies of the US and its regional allies, including South Korea and Japan. Some US officials have said North Korea has been making significant advances in its nuclear weapons using the thermonuclear test and progress in its intercontinental missile systems. They have threatened the North with a military response unless it abandons its nuclear weapons program. Earlier this month, Tillerson said that the recent communication between North and South Korea is a sign that American pressure on North Korea is working. He also said that the US will be ready for talks with North Korea.